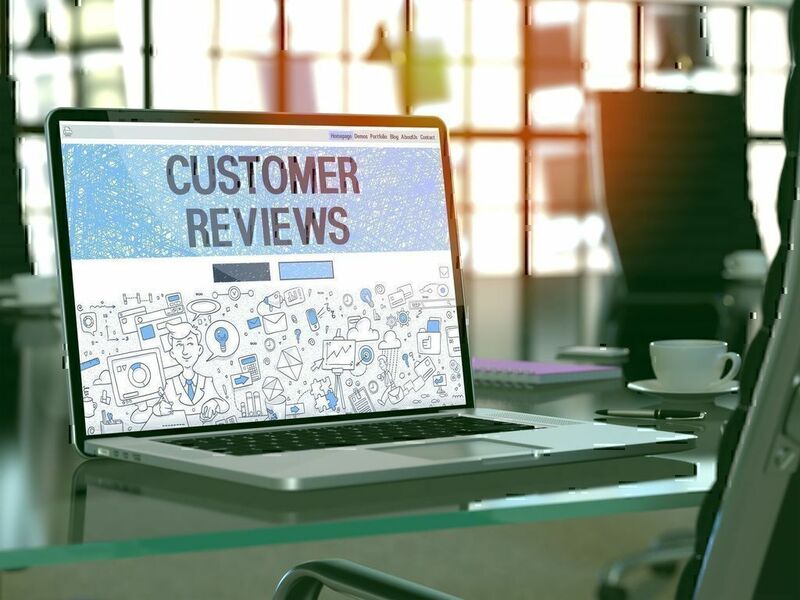 The top trending brands that waive from the list of the 10 most discussed companies in November show consumers’ concerns about the quality of the services or products they had received, as expressed through their reviews on Pissed Consumer. Some of the companies have just landed on that list while others were causing frustration in October too, revealing that perhaps more drastic action needs to be taken. Skylink TV Antenna, is, a diminutive flat HDTV indoor antenna that enables the instant and free access to live TV programs, viewed in 1080p HD. Last month, consumers were mainly concerned about the efficiency of the Skylink TV Antenna, with many buyers wanting to return the product for failing to meet the advertized functions. There are also cases when viewers saw the money taken from their PayPal or bank accounts for the purchase of multiple antennas when they had only ordered one. Finally, it appeared that returning the antenna and asking for a refund were also an issue, as some consumers reported struggling to send the purchased antenna back, mainly due to lack of company contact details. Lazada Philippines is an online retailer launched in 2012 that provides a wide range of products, from electronics and computers to books and toys, sent with zero delivery fees. The company often appears on our monthly list of companies with the top trending issues and it is usually for the same problems, which might be anticipated given the volume of orders they receive every day. 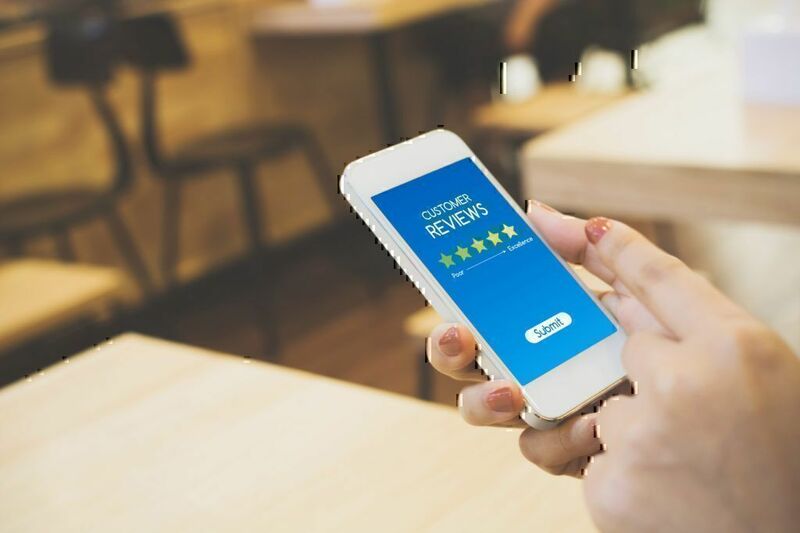 Their most complained about service is their customer support; however, consumers also added frustrating reviews about the Lazada Philippines delivery services too. Besides receiving the wrong order (or no order at all), Lazada buyers had trouble getting a refund for their returned products, with many of them complaining about not being able to contact a company agent to help resolve their issue. Here’s the list of available Lazada Philippines contact info. Lazada Malaysia is a branch of the Lazada Group. Launched in 2012, the online shopping mall offers a plethora of products across a wide spectrum of categories, along with home and living commodities. The landscape is pretty similar to that of Lazada.com.ph, in regards to the delivery of items, which was either delayed or problematic (i.e., wrong or damaged products). Consumers were also disappointed for having their order canceled after already paying for the item(s) while their biggest concern was how to request a refund given that the company’s chat function is a chatbot with pre-set answers and there is no telephone or email to contact a company rep.
Also, among the most talked about Lazada Malaysia issues last month was the way the company customer assistance department responds to the company’s clients, which, in many cases, was characterized as rude. Rockauto is a Wisconsin-based online parts store providing customers with 1000s of mechanical and body parts from more than 200 manufacturers. They also offer interior trim objects and major assemblies, including steering gears and engine long blocks. Rockautoers expressed their disappointment for the late delivery of their orders while many were also frustrated for not being provided with an option to communicate with a real person from the company’s customer care department. The return policy was also among the top trending flaws about RockAuto.com, with many buyers feeling puzzled after receiving a faulty/damaged product that they had to return. In case you need to reach out to ask any questions to RockAuto customers support representatives you may use RockAuto phone number to contact them. McDonald’s is one of the largest fast food restaurant chains in the world, headquartered in Illinois. Founded in 1940, the company now owns restaurants in more than 30,000 locations in the US and almost just as many abroad. Their signature product is the BigMac burger. 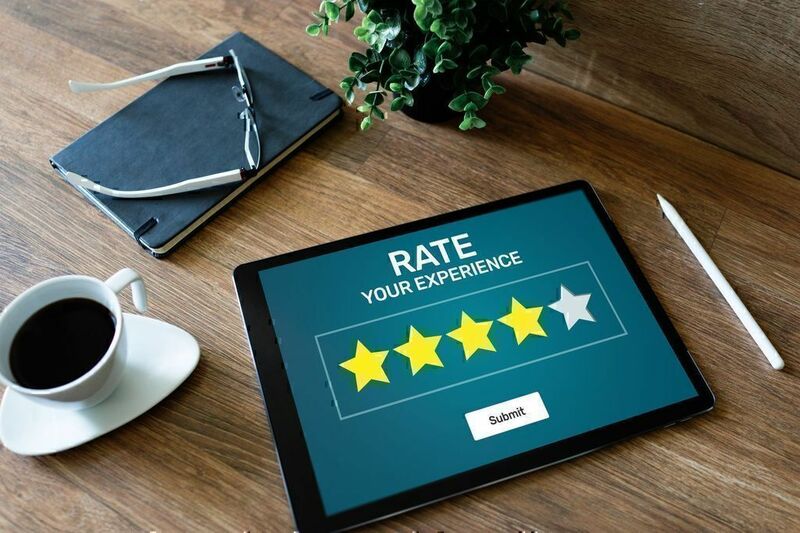 Based on last month’s McDonald’s reviews, consumers mainly spoke of disrespectful behaviors towards them from store managers or employees and expressed their annoyance for being given low-quality food (i.e., burned or almost raw). 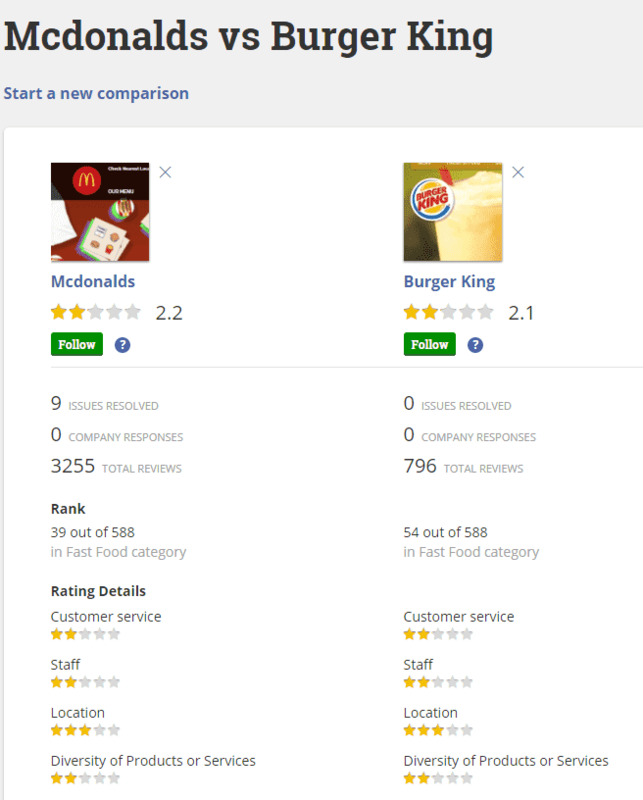 When it comes to customer service McDonald’s and Burger King are both facing negative reviews. This month, the McDonald’s Vs Burger King “fight” over who will please consumers the most appears to be failing on the first. That aside, another top trending concern, though, was related to the hygiene of the McDonald’s stores and the way employees handled food (i.e., preparing food without gloves). The Trendy Deal Store is an e-commerce website that offers items at particularly low prices - it claims to give the products free of cost. Buyers are only required to cover the shipping fees by using their credit card. Not much information exists about the company online, though. 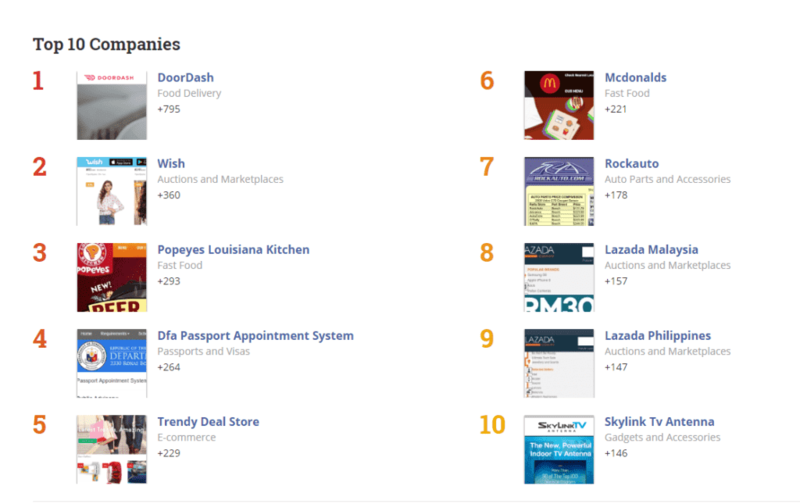 Trendy Deal Stores has just appeared in the top trending companies with the most negative reviews and was one of the most discussed brands in November 2018. The overwhelming majority of Trendy Deal Store issues faced by consumers last month were associated with orders that never got through to the recipients. Also, when buyers tried to ask for a refund, they hit a wall because it appeared that no company rep was able to help them out. Instead, they kept telling customers that their product was on the way. There were also instances where consumers were charged more than the said price. The DFA Passport Appointment System is an initiative of the Philippines Department of Foreign Affairs that enables faster and smoother passport applications (issue a new passport, report passport loss, or renew an existing one). Applicants pay the processing fees via payment centers and schedule an appointment to have a passport issued or renewed. Scheduling an appointment to get a passport was a bit of a struggle last month for those referring to the DFA Passport Appointment System. Many consumers complained about not having received an email confirmation or a valid reference number after paying the passport application processing fees. Others were frustrated for not being able to find an open slot to get an online appointment. It should be noted, though, that at times when the volume of applications for a passport is enormous, scheduling an appointment to get a passport is one of the top trending issues in the USA too. DFA Passport Appointment System customer support phone number. Popeyes is a fast food restaurant chain with eateries all over the world. The first restaurant opened in 1972 with a goal to provide consumers with low-fat and low-cholesterol fast food meals, including chicken, roasted baguettes, tortillas, tenders, and more. Although the Popeyes Louisiana Kitchen did not have any serious complaints about the quality of their food, their customers were distressed with some store managers’ particularly offensive behavior. 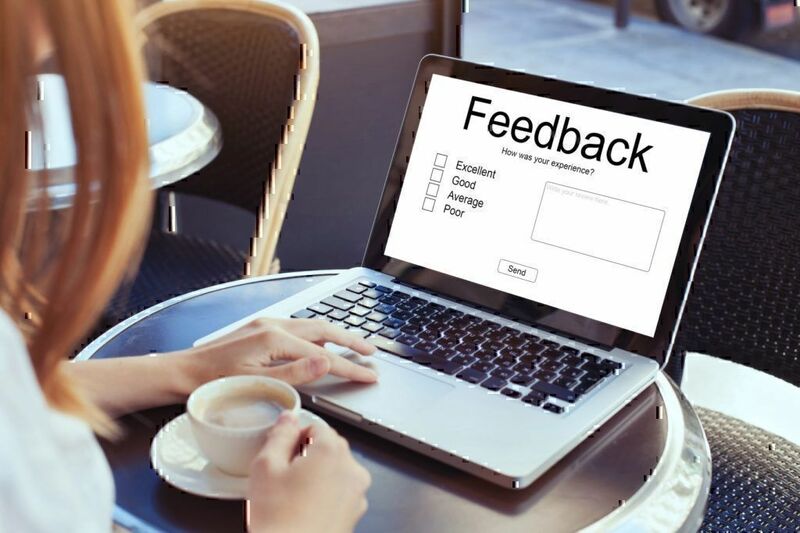 Consumers mentioned being treated with rudeness while some others expressed their anger after being provided with poor customer service that resulted in overly delayed orders or orders missing food items. When consumers compare Popeyes with other fast food chains like McDonald’s or KFC, it becomes apparent that each has their own fair share of consumer disappointment. Wish is an online e-commerce company founded in 2010 by former Yahoo and Google programmers. It sells a wide range of products at particularly low price, and claims over 100 million users. Wish users found themselves trying to figure out how to talk to a Wish customer assistance employee to help them with problems they faced related to delayed orders, wrong deliveries, and refunds last month. DoorDash is a California-based company offering on-demand restaurant delivery services. It was founded in 2013 and has since formed collaborations with restaurants such as California Pizza Kitchen and Fuki Sushi, among others. DoorDash is steadily among the most complained about brands in the past few months. Orders that were delivered with significant lateness, dashers that did not deliver the right orders to the right people, and people receiving smaller portions or fewer food items than ordered were some of the things that frustrated DoorDash customers last month. Another vital complaint had to do with the way consumers could get through to a company agent to have a problem fixed. From the DoorDash reviews left on Pissed Consumer, it seems that the communication was poor, resulting in generating even more frustration. If you have a question or concern about any of the companies on November’s Most Complained About Brands list, you can check out answers to the most frequently asked questions about these companies. Of course, you are more than welcome to post a review and share your own experience.